AppXite is launching the world’s first end-to-end e-commerce and quote-to-cash solution for Microsoft Dynamics 365 Business Central. 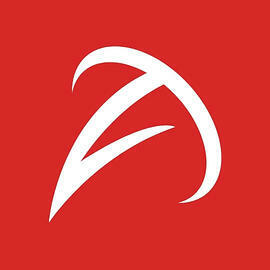 In the past years, AppXite has enabled Microsoft CSP Indirect Providers, Indirect Resellers and Direct CSP’s to successfully grow their monthly Microsoft Cloud revenue, managed services and 3rd party offerings from a catalogue of over 200 vendors through our leading e-commerce platform, as well as transformed hundreds of ISVs to Azure and SaaS business models. Available in AppSource today, we are very excited to announce the extension of our platform into the Microsoft Dynamics 365 Eco-system by integrating Microsoft Dynamics 365 Business Central (formerly Navision) natively with our platform. This allows all Microsoft Partners implementing and using Microsoft Dynamics 365 Business Central to utilize AppXite with their existing investment or to transform Enterprises and ISV’s into true modern digital businesses with endless scaling opportunities. The solution is presented as a White-Label platform, offered in both managed and hybrid models. Subscription management and commerce with Microsoft Dynamics 365 Business Central is made possible through strong cooperation between Microsoft ISV Development Center Ciellos, AppXite, and Microsoft. Last year’s cooperation also saw the finalization of Microsoft Dynamics 365 Business Central/Tenerife. To learn more about AppXite, please visit Las Vegas’ Microsoft Inspire 2018, July 15th to 19th. We can be found at the AppXite booth, number 923. AppXite is a value add distributor helping you scale your ISV business globally by providing Azure lift-and-shift, DevOps & Customer Success Management services towards your end customers and increasing your sales through our global partner channel framework. Our approach is based on a pay-as-you-grow policy towards both you and the resellers and focusing on matching vertical resellers to the ISV solution.